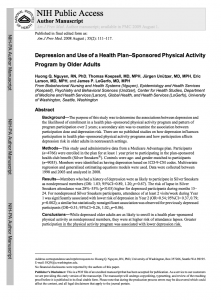 Background: The purpose of this study was to determine the associations between depression and the likelihood of enrollment in a health plan–sponsored physical activity program and pattern of program participation over 2 years; a secondary aim was to examine the association between participation dose and depression risk. There are no published studies on how depression influences participation in health plan–sponsored physical activity programs and how participation affects depression risk in older adults in nonresearch settings. 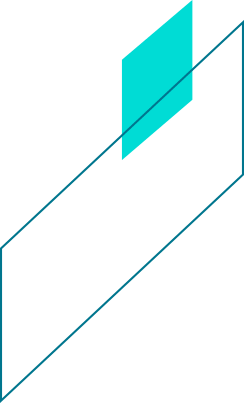 Methods: This study used administrative data from a Medicare Advantage plan. Participants (n4,766) were enrolled in the plan for at least 1 year prior to participating in the plan-sponsored health club benefit (SilverSneakers®). Controls were age– and gender–matched to participants (n9,035). Members were identified as having depression based on ICD-9-CM codes. Multivariate regression and generalized estimating equations models were used. Data were collected between 1998 and 2003 and analyzed in 2008. Results: Members who had a history of depression were as likely to participate in SilverSneakers as nondepressed members (OR: 1.03; 95% CI0.89, 1.20; p0.67). The risk of lapse in SilverSneakers attendance was 28%–55% (p0.05) higher for depressed participants during months 15–24. For nondepressed SilverSneakers participants, attendance of at least 2 visits/week during Year 1 was significantly associated with lower risk of depression in Year 2 (OR0.54; 95% CI0.37, 0.79; p0.002); a similar but statistically nonsignificant association was observed for previously depressed participants (OR0.51; 95% CI0.26, 1.02; p0.06). Conclusions: While depressed older adults are as likely to enroll in a health plan–sponsored physical activity as nondepressed members, they were at higher risk of attendance lapses. Greater participation in the physical activity program was associated with lower depression risk.